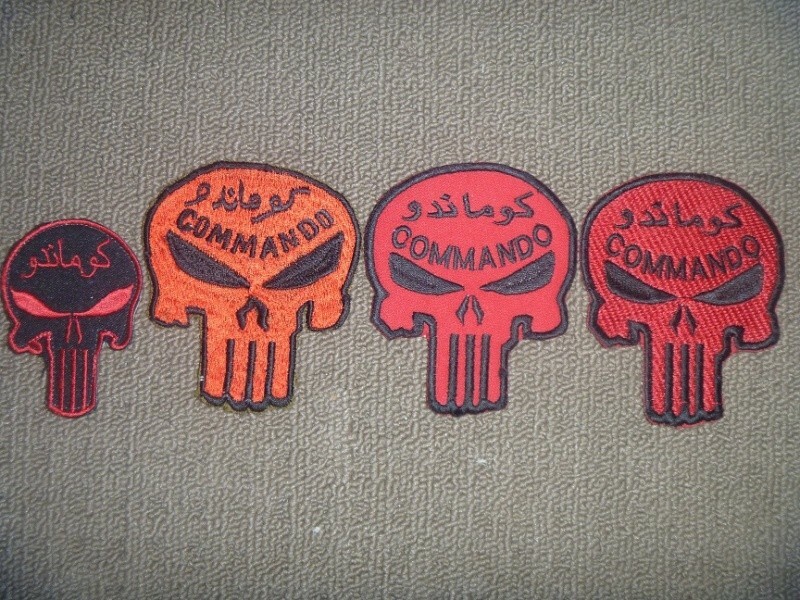 Here are the two commando patches I mentioned above. VERY NICE! Thanks for sharing! 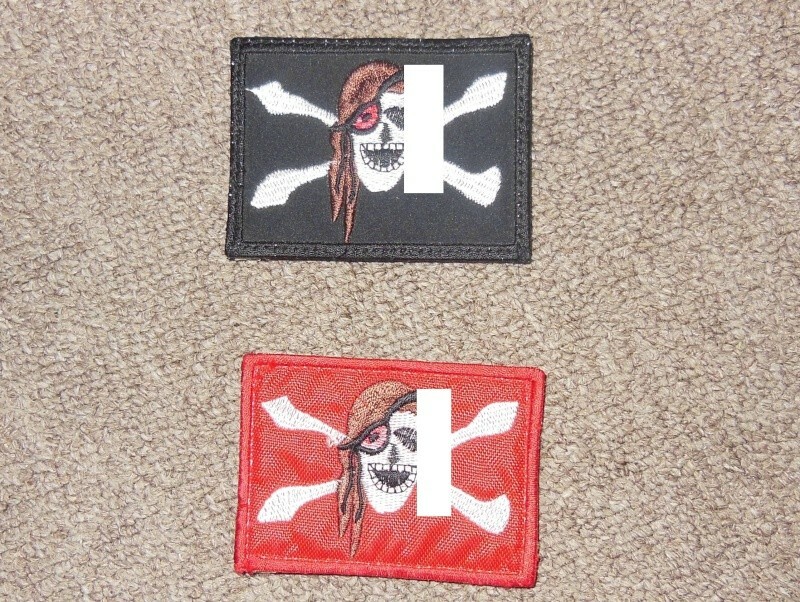 If you have any duplicates of those pirate patches, let me know! Thanks guys! 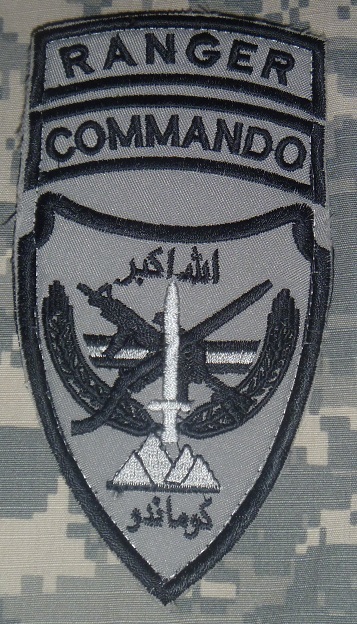 This red CMDO SSI with the white (lt gray) border was acquired at the BAF southern Bazaar in 2009. I had a standing agreement with the vendor to buy any and all patches he brought in every Friday. It gave me a chance to pick all I needed for my collection and sell the rest. All were original brough in from all over the place. Sadly, that vendor isn't here anymore and the crack down on non-ANA personnel in possession of ANA insignia has really hit the market over here. Thanks for posting these! I love the white edged commando patch. And very interesting to see the 2 piece grey commando insignia. CBS News had a brief segment this evening regarding the ANA Special Operations Command. There were some good shots of uniforms and insignia so I did what I could to save some screen grabs as attached below. Sorry that some came out a bit blurry. Good shot of the SSI on a senior NCO who was drilling the troops seen in the background. The man on the far left was identified as the CSM for ANASOC and was the primary focus of the story. Note the variation Commando patch on his right arm. A closer shot of the CSM to show his beret insignia. There was also a US Special Forces advisor that was interviewed during the story. Not a very good pic but the best that I could grab of his insignia. 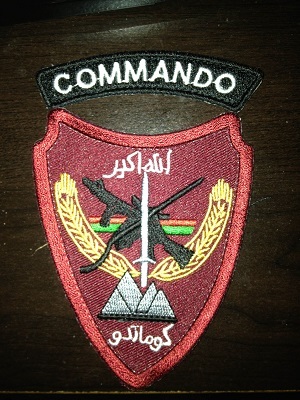 Apppears to be an OD or MultiCam ANA Commando patch with a SF long tab above. Last pic, again of the ANASOC CSM. I couldn't resist with the impressive 3rd Battalion, 3rd Special Forces Group (Airborne) plaque in the background! Also what appears to be a SEAL Pup, and folders by CRKT and Gerber. Another pic of the so called "Pirate" ANA Commando patch in-wear; this time above the more common red Commando Punisher skull. Actually, if you look closely there are some pretty interesting unifrom and equipment details in this photograph! Ok, so heres the latest patch arrival. It definetly looks Afghan made but has anyone seen evidence of them being worn or are these another batch of in theater made for collector patches? Interesting patch. The Ranger tab could be for US advisor who went to Ranger school. I like it. Thanks mate. Yeah purely guessing here but I was thinking maybe made up by a US mentor that was ranger qualed and didnt want to wear the special forces tab. I don't think all advisers were SF qualified. Another variation on the skulls with the more "normal" ANA commando skull of the left to demonstrate size. Has anybody seen any pics of these in use? I have never seen any pictures of those variety being worn. But it would be cool if someone was able to post pictures. 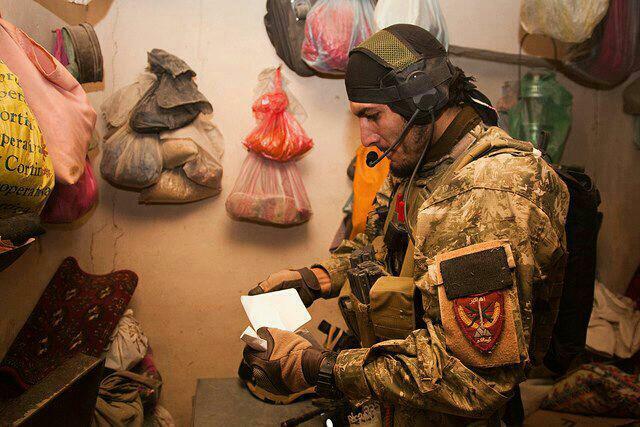 Even some non-commando units use Commando patches. 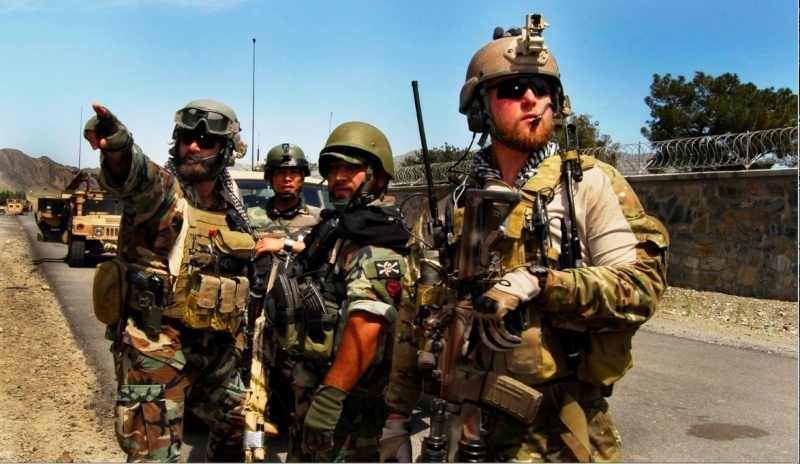 Those two pictures are Afghan Special Forces. Check out this facebook group. This is where I keep finding great ANA pictures. Just a warning though, you will see some pictures of patch collection were "borrowed" from this thread. Mercenary25 wrote: I don't think all advisers were SF qualified. You are absolutely correct Jeremy. 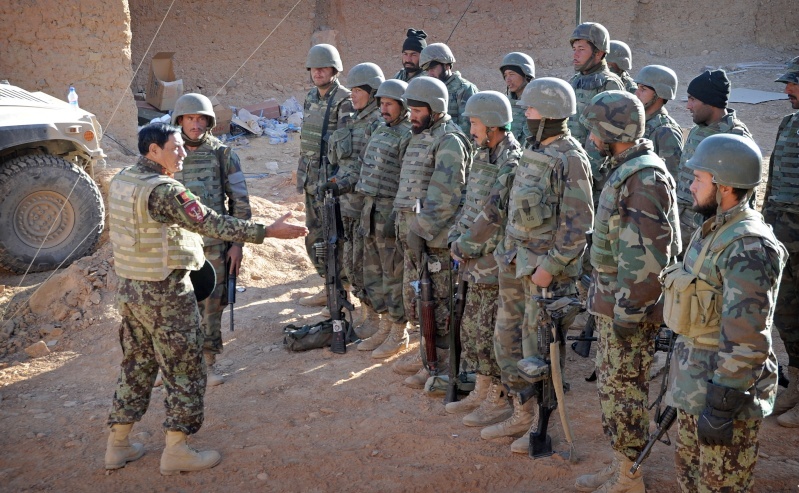 Many units, some SoF, some not; coalition allies and US have been involved in training/advising ANA Commando entities. Assembling a complete list of these mentoring units would be a daunting task. Interesting skull and crossbone patches, very odd detail to them. And you are not wrong with figuring out the mentors! 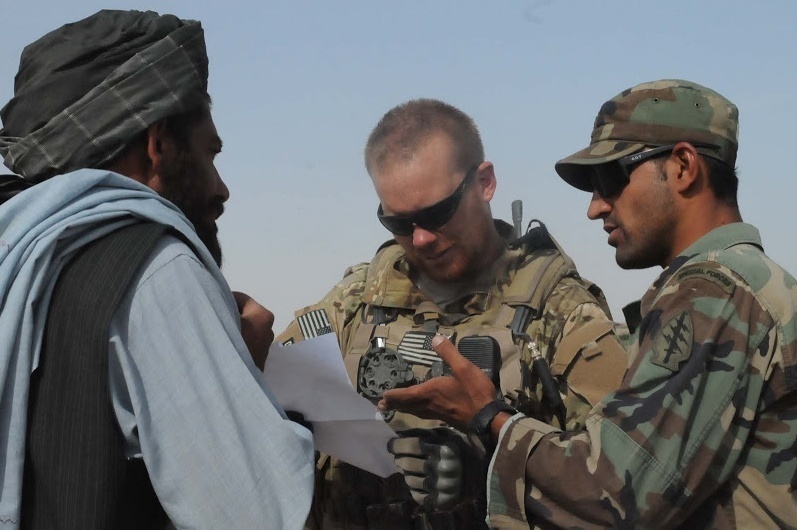 There are so many smaller obscure Afghan units that it would be a massive task even IDing the units let alone who mentored them. aussie digger wrote: Interesting skull and crossbone patches, very odd detail to them. And you are not wrong with figuring out the mentors! There are so many smaller obscure Afghan units that it would be a massive task even IDing the units let alone who mentored them. 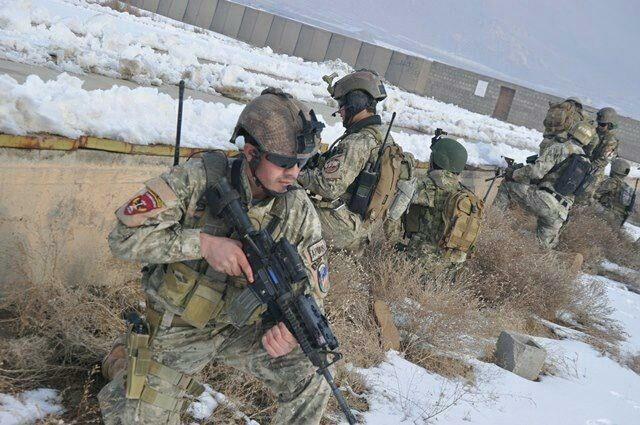 When you say "smaller obscure Afghanunits", are these units Special Forces type units? Yes, special forces. From what I can tell the ANA isnt too bad, but the amount of small units that come under NDS, GDPSU, ANP etc is unreal. Awesome grouping of patches . 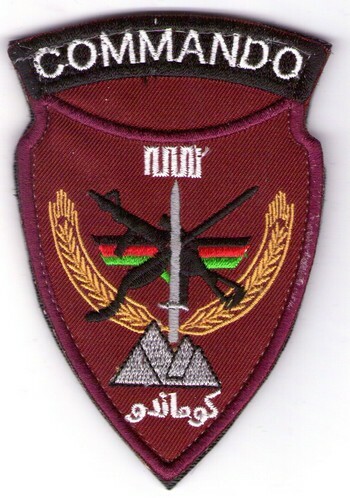 Just as a note, Ive seen some regular ANA infantry (not commandos) wearing these Commando patches where I am in eastern Kunar. 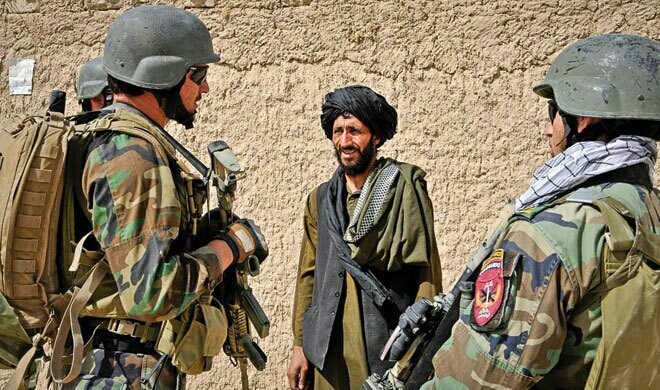 A lot dont wear any patches and when they do its usually just the basic Afghanistan/Afghan flag ones but theres also guys who wear random patches that they like no matter what they are. They really dont have any rules about it. They like to see themselves as fighters so Commando type stuff is popular. Ive also seen some guys wearing US division patches (often crooked or upsidedown) from units that passed through or add US airborne or ranger tabs they got to their patches. Here's my first patch- comments welcome. The top reads "Allah is The Great" (God is Great), the bottom reads "Commando". There are scores of variants for this basic patch design some with alternate script. This is probably the most often seen example. There is also this version that I get from Jim with "The Allah is the Great" which has been computerized ?? Or it is just a mistake from the maker. I think that's a stitching error.